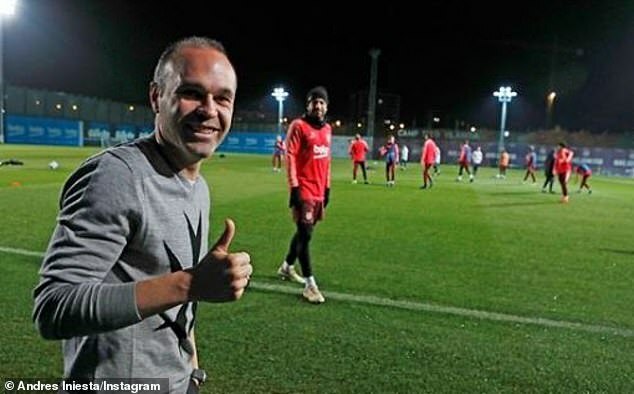 Andres Iniesta enjoyed a visit to see his old team-mates at Barcelona and documented the trip on Instagram. The legendary midfielder won nine La Liga titles and four Champions League crowns for the Catalan side and is clearly still held in high regard at the club. He wrote: ‘Going home is always special’, and posted pictures catching up with his old friends. 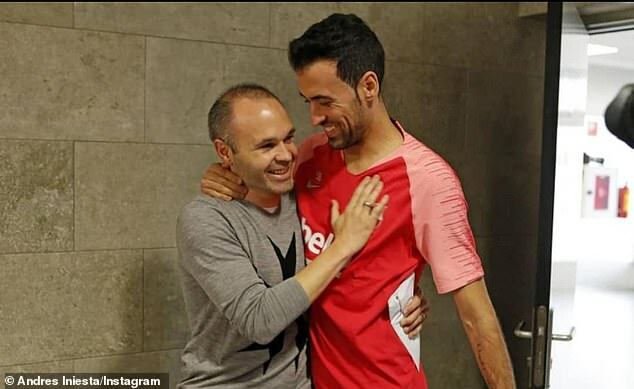 Iniesta shared a warm embrace with Lionel Messi, the man who he served with so many assists over the years. 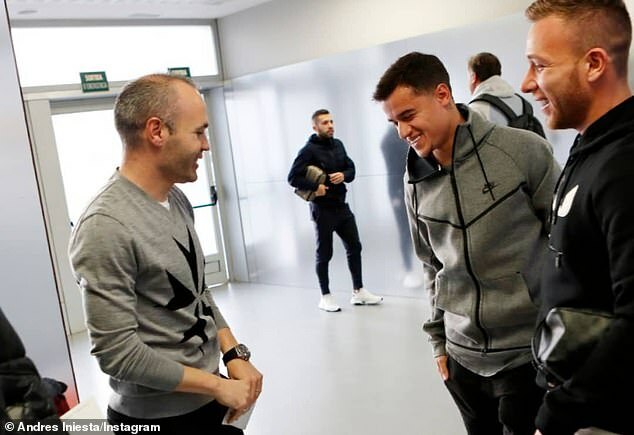 And there were broad grins on the faces of Jordi Alba, Philippe Coutinho and manager Ernesto Valverde as they welcomed their former colleague back with open arms. The squad gathered around to catch up with Iniesta, who is now plying his trade with Vissel Kobe in the Japanese league. And he was allowed to patrol the sidelines as Valverde’s side were put through their paces in training on the floodlit pitches. Barcelona are preparing to take on Tottenham in the Champions League having already sealed qualification to the knockout stages by topping Group B.
Spurs need to win and will hope Barcelona rest some of their front line stars. 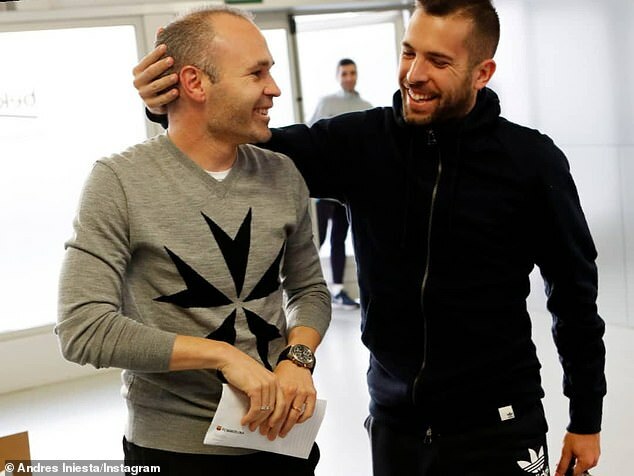 At least Mauricio Pochettino will not have to deal with the midfield majesty of Iniesta when his stars take to the Nou Camp pitch on Tuesday night.